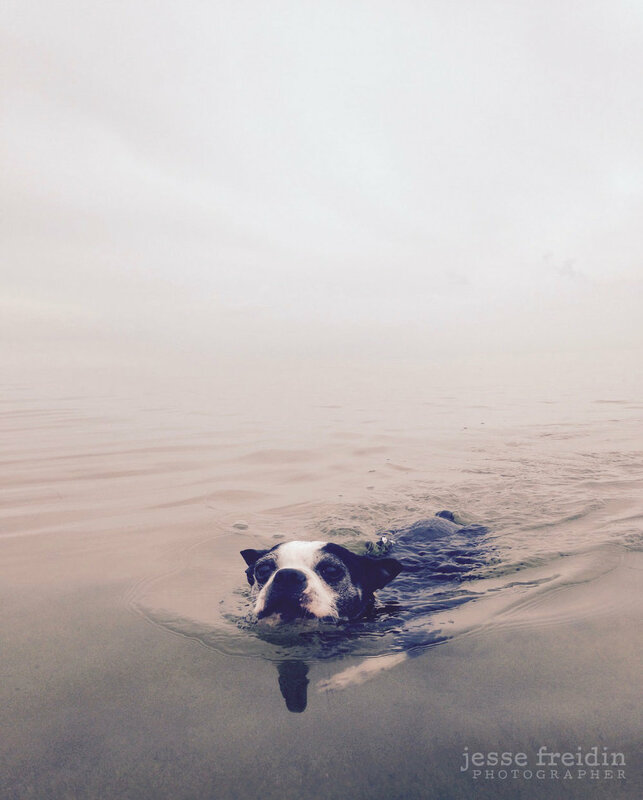 Many, many people met my beloved Boston Terrier Pancake during his amazing long life, and many, many of them fell in love with his incredibly kind demeanor and big personality. He was a dog that loved unconditionally, and he wanted to get to know everyone that crossed his path. That led to a lot of people becoming fans of the Boston Terrier breed, and a good handful of those people soon enough came to share their lives with a Boston Terrier (or two). One of those lovely people is the San Francisco dog photography client featured here. She and her partner brought two sweet spunky little BTs into their lives a few years ago and both of them are directly related to my sweet Pancake. So you can imagine how excited I was to be commissioned to photograph they beautiful family - and of course spend some good couch time snugging these two nuggets. 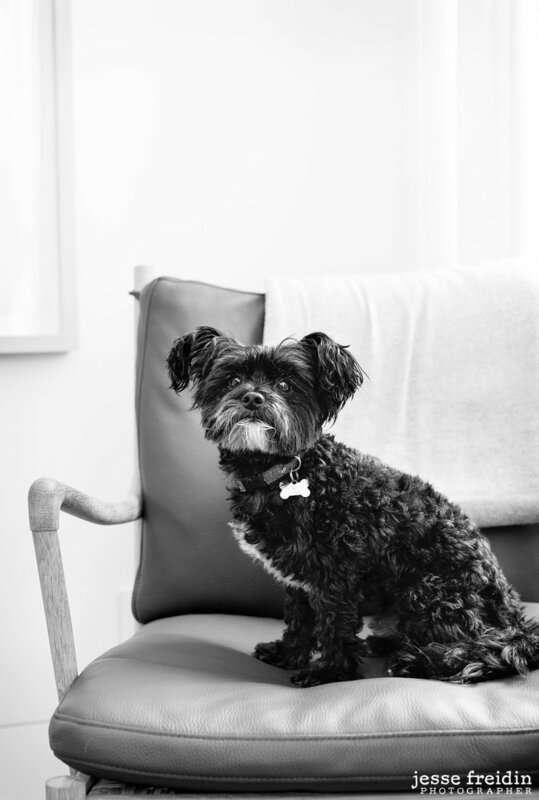 For this San Francisco dog photography session we met at their home - one of the newer, beautiful loft buildings in the Castro area of San Francisco. There was great light in their apartment, but my client mentioned that the views of the Castro, Diamond Heights, the Mission and Noe Valley were spectacular from their rooftop deck so that’s where we focused most of our session. Like so often happens in San Francisco, the sky had a healthy blanket of fog going on that day which I was thrilled about. I love fog! I love it so much. I want fog all the time every day for every photography session. Fog is like an enormous soft box in the sky - it takes bright, harsh sun light and diffuses it into bright, soft, flattering light that is perfect for portraits, whether of dogs or people. It was important to my clients to not only photograph Harley and Levi, but also the family as a whole. These guys love each other so much, and to me there is nothing more inspiring than photographing love. That’s really what my job is about - subjects don’t really matter to me. What I’m fascinated with and what I have centered my career on is observing and documenting love and relationships. I just believe that dogs are the perfect catalyst for viewing love - as seen here. The iconic San Francisco Bay Area views in this work, and the love shared between both humans and both dogs, made this a very special day in the office. Thanks for a wonderful session, everyone. I’m always honored when clients invite me back to their homes to photograph their dogs for a second or third or fourth time. During my recent trip to San Francisco I had the pleasure of working with two wonderful repeat clients and Teddy is one of them. Teddy was rescued from a busy, high-kill Los Angeles animal shelter by one of my favorite dog rescue groups, Wags and Walks Rescue. He was then spotted by my client on the Wags and Walks website, quickly adopted, and swept up to lovely Palo Alto, CA where he lives a joyful life with a sunny back yard, a bunch of sweet and smart kids to hang around with, and one very devoted Mom who teaches him about contemporary art and loves him to pieces. I first photographed Teddy about three years ago, and returned for our second San Francisco dog photography session just as my client’s last child was heading off to college. After years of raising four great kids and watching them all head off to impressive universities, the house was about to feel a whole lot quieter - which is an emotionally charged moment for any parent. Our photography session centered around how Teddy pulls the family together - everyone loves him, and he loves everyone right back. We played in the yard (built just for him), lounged on the couch, created some portraits for the kids to take back to college and of course took some time to photograph Teddy alongside my clients. I’ve been so fascinated with abstraction lately, and am really leaning into a new way of creating family portraits that pull away from traditional poses and composition, and instead take away elements of the human subjects so that the canine subject really controls the frame. It’s challenging and weird and fun and interesting and I love it. My clients are loving it, too. A few years ago I put together one of my very beautiful, artisan-crafted portfolio boxes to house a series of eight editions for this client. One of the best parts about a portfolio box (aside from the fact that they are amazing artifacts on their own, with custom book fabrics etc), is that it gives my client and I room to grow. For this recent dog photography session I helped my clients curate a few more editions to add to that original box, as well as a larger beautiful print for their walls. What a very special and fun and creative project. Thanks Teddy, you’re a very good dog. What a great Open Studios event! My Grand Opening Party (which was part of our Lena Street Lofts larger Open Studios day) was so much fun. It was the perfect excuse to pull the last details of my new Santa Fe dog photography studio together - like hanging a few more large black and white dog portraits on the walls, cleaning my desk (that’s a big task in itself…), putting out a big stack of my 2017 book “Finding Shelter” and some limited edition prints from the book, opening a box of closed edition silver gelatin prints of some of my earliest dog portraits for guests to peruse and purchase, putting out lots of business cards and setting out my beautiful new portfolio box on the coffee table. Thanks to everyone who came out last weekend. It was so great to see so many friends and I’m thrilled to have my Santa Fe dog photography studio finally open to the public. I'm honored to have been interviewed for the Santa Fe New Mexican's "Sunday Feature" last weekend. The reporter that interviewed me was so wonderful (and thorough), their photographer did a great job photographing me and Lola (the dog), and I've been so happily surprised by how many people have read the the article in Santa Fe and contacted me. A great experience with my first local press coverage in my new hometown of Santa Fe. Aside from loving this beautiful city, I have been welcomed with open arms by the dog community, the arts community, fellow photographers and animal activists and so many friendly people. Santa Fe needs a dog photographer that caters to the high-end arts market here, and I'm thrilled to be the man for the job. I'll be hosting a big studio opening party at my Santa Fe dog photography studio in a few months, and will keep everyone up to date on that as it comes together. 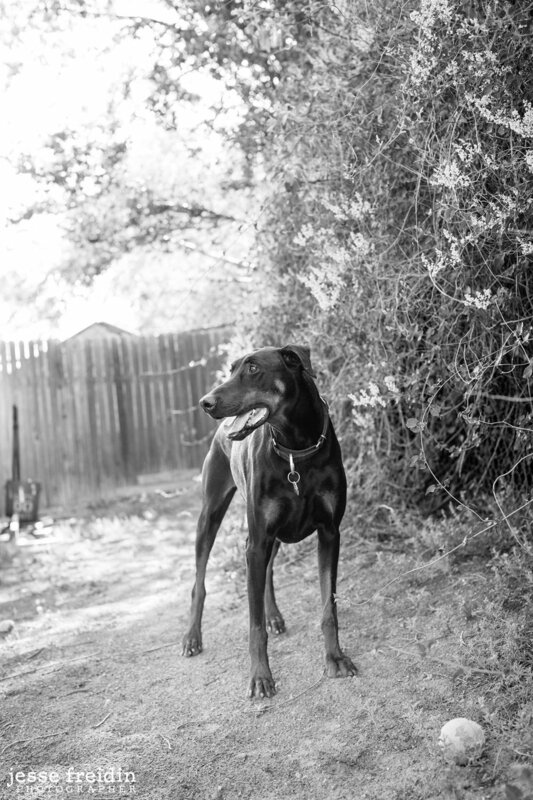 In the mean time, I'm really looking forward to all the exciting non-profit projects I'm working on here in Santa Fe, and the new community of Santa Fe dog photography clients I'll be working with. So happy to have landed here. Another very good dog went up to the sky recently. This is Harley the Chihuahua mix, who I photographed a few years ago in the San Francisco Bay Area at a big, beautiful home. One of my favorite old San Francisco dog photography clients purchased this session as a gift for her boss, and when I pulled up the driveway there was a herd of Standard Poodles and Chihuahuas running around the yard in the sunshine. My kind of a morning. Harley was very loved, and will be deeply missed. This will be the third time in the past six months that I help a client put together a memorial urn - I've been getting many requests for this and I love pulling together small prints to go on these urns. Everyone has their own way of honoring beloved companions that have passed - spreading their ashes, burying them at a pet friendly cemetery, placing them in an urn or box and placing them on the mantle. 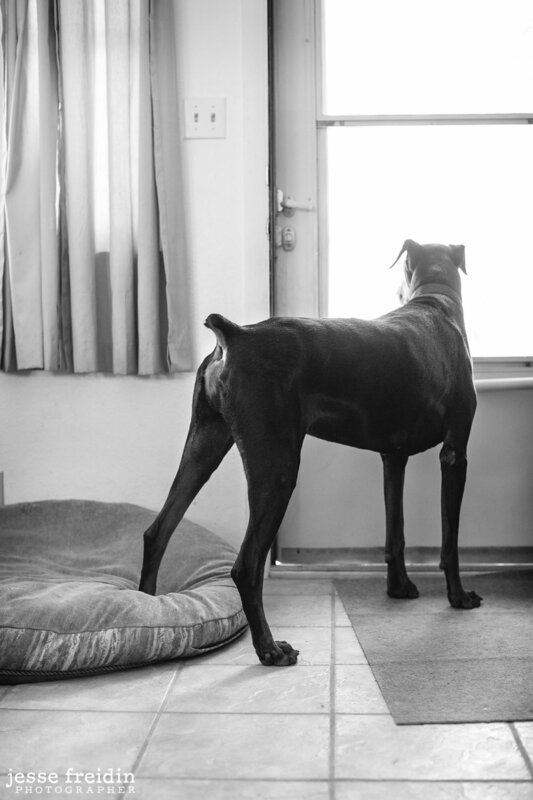 Whatever speaks to you, taking the time to mark the passing of time and memorializing the short lives of our canine companions is incredibly meaningful and a powerful part of the mourning process. We are all mortal beings. It hurts, it’s beautiful, it’s the foundational reality of sharing our lives with dogs. Saying hello and saying goodbye changes us humans forever. Godspeed little Harley. You’re a very good dog. This was a very weird impulse-buy I picked up at the grocery check out the other day. First, I didn't even know Life Magazine still existed. Second, I have to admit: I was curious if someone had finally cracked the code and could offer a solid explanation of why dogs and humans are so intertwined. Spoiler alert- Life Magazine definitely did not crack any code. They did, however, throw together a $13 "special issue" on "dogs" that "explains" a bit about the "history" of the dog/human bond in quite simple (yet fairly accurate) terms. I just couldn't say no to the clean cover design, the iconic Life Magazine logo. And hey, it was better than buying a candy bar. This special dog expose was packed with full page images, because everyone knows that people buy magazines for the photos. 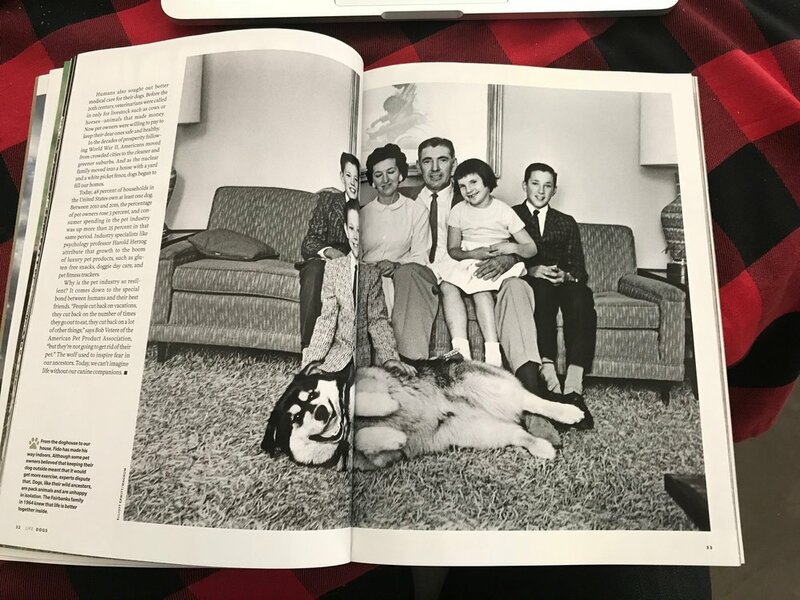 It walked the reader through a bit of the history of the dog/human bond - from ancient domestication, to Egyptians and Japanese cultures depicting canines in their art, to examples of the earliest photographs ever printed in the 1800s featuring dogs, to how the dog became America's family pet starting in the 1920s. Then it went into a bit about contemporary dogs in culture - from service dogs to pets etc. All in all it was fairly interesting, if not a bit mundane (if you're a dog nerd like me and devour any and all dog-science related books and articles, this issue didn't really bring up anything new). You know what the take-away was for me, though? Not to be predictable, but it was the art. Art tells the story of the dog/human bond, from ancient cave drawings to glamorous Renaissance paintings to early Daguerrotypes and black and white photos from the 1920s (when photography just started to hit the main stream). Every society throughout history has been understood through it's art - what a society looks at and values visually is the code to understanding their culture. And humans as a whole have valued our relationship with dogs for centuries. We just can't stop looking at them and making art about them. Therefore, it is obvious how crucial they are to the human experience. However, the only good imagery in this magazine was the old stuff. The ancient paintings, of course, were wonderful. 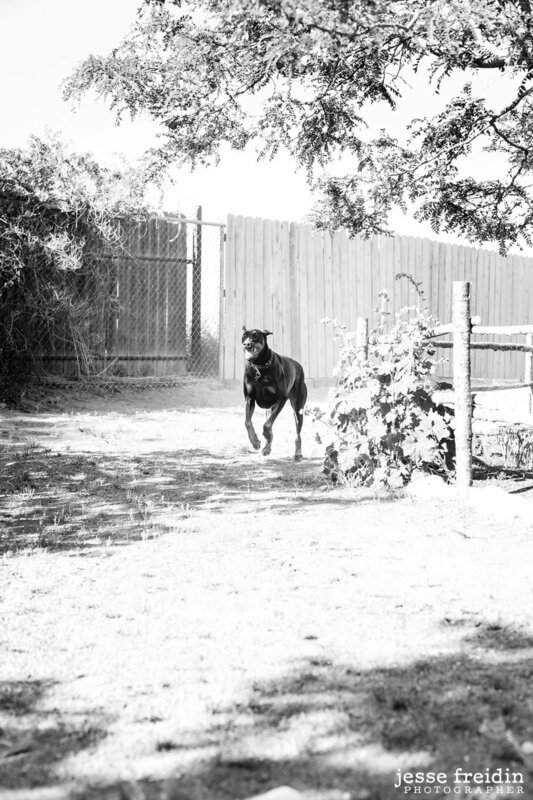 And the vintage dog photographs were beautiful. But you know what was not beautiful? The contemporary 'pet photos' the Time Life included in this issue. They were weak, bleak, and boring. Snapshots of pets jumping and over-done photos of dogs in the studio photographed with an exaggerated wide angle lens. Boring! Time Life could have easily found some real contemporary dog artists for their articles on modern pets, but instead they went with what was easy: stock photos of 'pets.' Yuck. (The photos I've shown here are the good vintage ones). The discrepancy between the quality imagery (from the 1950s) and the vapid, snooze-fest imagery (from the 2000s) was remarkable. I spend a lot of time pondering how our society went from regaling dogs and the art of photography, to being inundated with terrible, cheesy, unprofessional 'pet pics.' 'Pet Pics' is a term I hate with a passion because it is the complete opposite of what I am trying to create with my work. Vintage dog portraits like the ones I've copied here continue to inspire me to dig deep and push myself. They illustrate a truthfulness and passion and complexity that is lacking in so much imagery today - but there are some artists that are doing good dog work out there. We just need to keep supporting them.